Book Drunk: Review ~ If I Could Turn Back Time by Nicola Doherty. 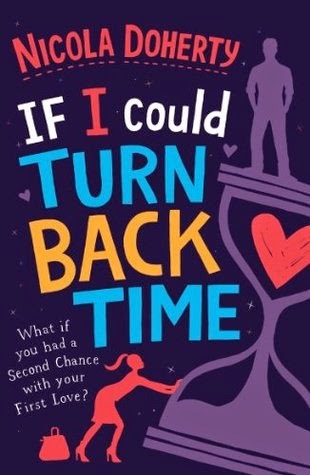 Review ~ If I Could Turn Back Time by Nicola Doherty. Title: If I Could Turn Back Time. Source: Won a signed copy from the author. If I Could Turn Back Time is chick-lit at its best – fun, flirty, sweet, ridiculous, entertaining, romantic and everything else great – so great I just wish it didn’t have to end. Some days you just need to read a book that will make you smile and Nicola Doherty’s writing was the perfect tonic. So many parts of this book just made me laugh – stand outs for me were probably the pub quiz and the doubles tennis match which I could just picture watching in those ridiculous chick-flicks I love so much. In fact, Zoe’s whole dialogue throughout this book made me smile. She was a fun character and I was just picturing her as my friend, wishing I could be there to send her down the right track! I liked David’s character too and how he wasn’t the typical perfect boyfriend I read so often. The rest of the characters in this book livened it up as well – especially Max and Harriet who I loved. I also loved how although I felt like this book was the perfect chick-lit, it had a couple of twists and elements which made it different and put it well above a lot of those kind of novels. So, If I Could Turn Back Time was everything I love in a book but with a little bit more too. I kind of seem like I’m trying to fit the word love into this review as much as possible but I just can’t think of another word to express how much I needed to read a brilliant book like this.